We are always happy to see new faces at any of our Redwood Region events, but I personally derive a great deal of satisfaction seeing new faces on autocross days. 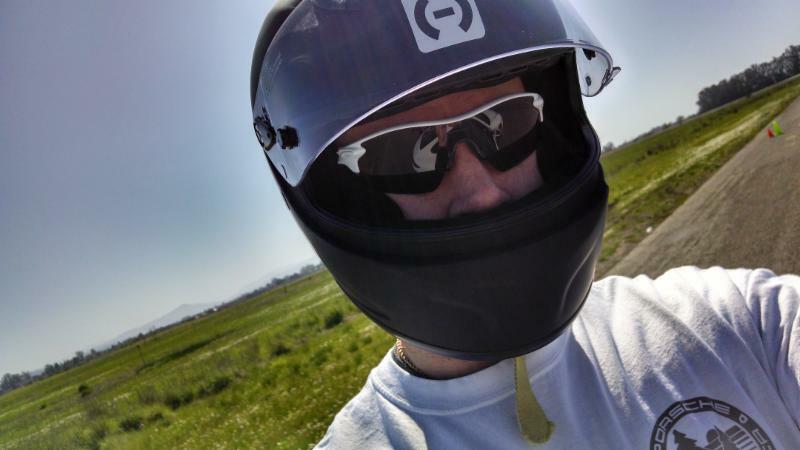 I try to encourage all members, new and long-standing, to embrace their inner adventurer's spirit and come out to an autocross so that my good friends and I can share our passion with them. 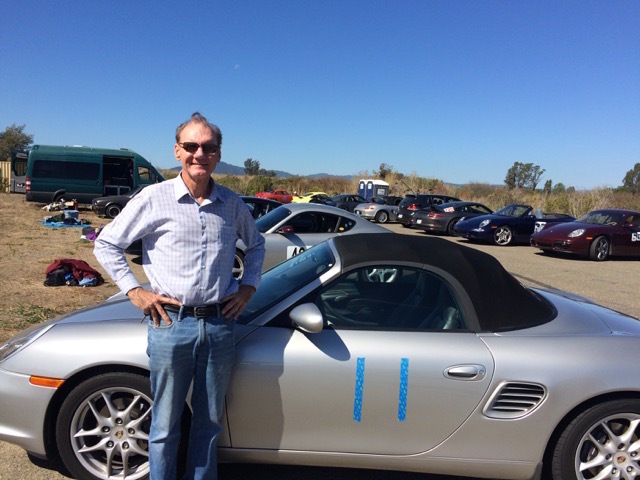 Our last autocross for the season was held on October 3, 2015, and we were happy to see Harry Albers join us for the morning sessions as a first-timer. Harry is a relatively new member to the Redwood Region and has made it out to a few of our driving tours already this year. You may have seen him introduced as a new member or spoken with him briefly on one of these excursions. He's a very nice guy and was gracious enough to allow me to fire a few questions his way to find out a bit more about him and his first experience autocrossing. How long have you been a PCA member? How long with the Redwood Region? I have been a member of the Redwood Region and PCA for only about three months. What Porsche(s) do you (or have previously) owned? How long have (did) you had it (have them)? I got my first Porsche, a 2003 Boxster basic, five months ago. What originally led you to join the PCA? 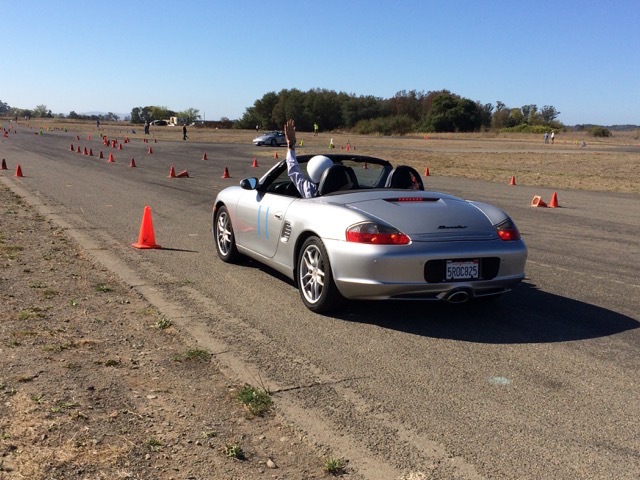 I wanted to drive my Boxster more and meet other people who enjoyed the marque as much as I do. I live in Santa Rosa and was happy to join the Redwood Region to address both of those wants. Have you attended other club events, and if so, which ones? Did you bring a guest (your wife/significant other) with you for any of them? Did you have fun? I did the tour to the Wine Caves, and my wife and I both enjoyed it. How did you first hear about autocrossing with the club? I saw information about it in an email from the club. When you first heard about autocrossing, what were your thoughts? Were you immediately interested? Did you have any concerns that gave you cause for hesitation? I thought it would be fun. Nothing beyond that really came to mind. What did you get out of the day? Learn anything specific? Did anything about the day surprise you? I learned how to drive on the track (with in-car instruction from Bob Schoenherr) and enjoyed watching how other drivers approached it. I learned a lot about the rules. The only surprise was in how fast some of the drivers/cars could run the track. Did you have fun? Will you come out again? Would you recommend autocrossing to your friends and family? Why? Yes, yes and yes. Simply put, it is a fun thing to do. Sounds like you had a lot of fun! We're glad you came out and joined us for the last one of the season. Certainly hope that you plan on coming out again with us next year. Harry provided the picture you see above of him with his car. Harry, thank you for answering our questions, providing the picture and for your participation in our events. We're happy to have you. Welcome to the Redwood Region of the Porsche Club of America!